1. FOR THOSE VISITING YOUR BLOG FOR THE FIRST TIME, HOW LONG HAVE YOU BEEN BLOGGING & WHAT IS YOUR MAIN TOPIC? March 2019 will be our 4th blogoversary. Our blog features the adventures & humorous relationship of Peaches & Paprika, my 2 beloved, quirky tiger-calico sisters. Our blog is for entertainment & has no socially redeemable value (well maybe a little)! We provide an upbeat, happy place for visitors! We celebrate many "fun" holidays, like National Bubble Bath Day & Popcorn Day, both this month. 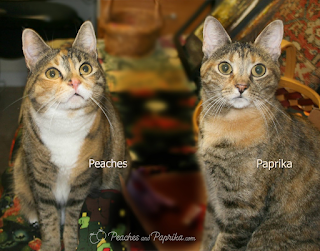 In the latter, Peaches & Paprika are suddenly attacked by popcorn. 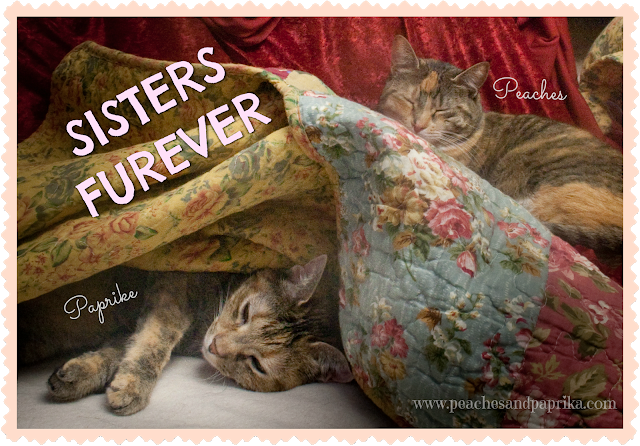 Creating 3 online slideshows for local shelters. (Guess that's socially redeemable!) We were told afterwards the shows helped with adoptions! 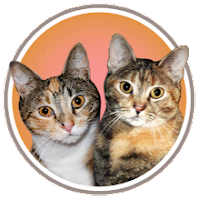 We're also proud of building a really nice little community on our Facebook page of individuals who genuinely enjoy our furballs. Some of these individuals also read our blog. 3. 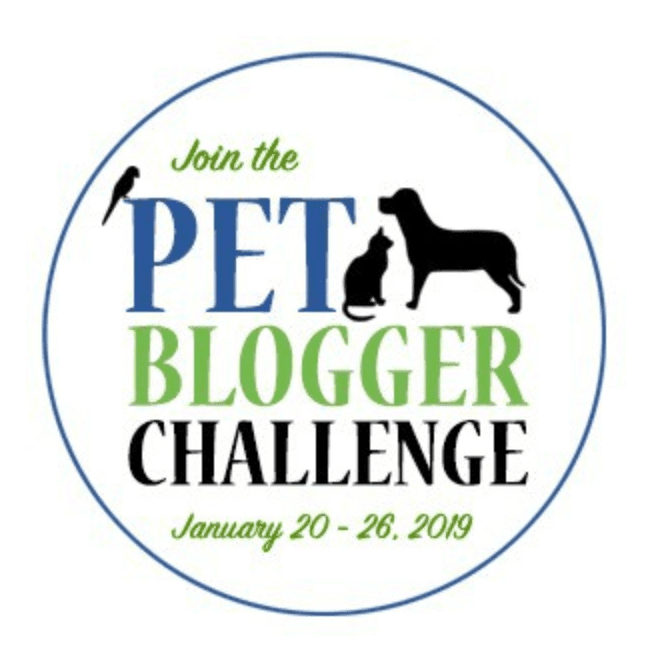 What was the biggest blogging challenge you faced in 2018 and how did you tackle it? Fitting blogging in with the rest of our life is a continuing challenge. We also started the process of being organized and (sometimes) planning ahead. We created books (by year) of previous blog posts with "blog2print" software. Blog2Print quality is not the best but helps us keep track of what we did when. Having a record helps us when we need to recreate an interesting post from a year or 2 back which we sometimes use as a fun flashback. 4. Which of your 2018 posts was your favorite and why? 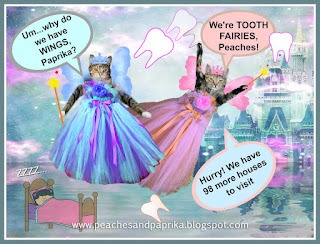 Tooth Fairy Day because we got to dress up and it's silly and fun & decorative. 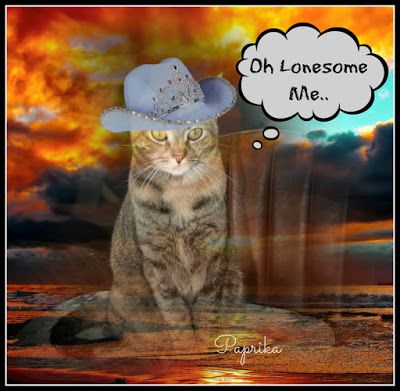 We also had a blast with Quirky Country Music Song Titles Day because we got to look up outrageous country song lyrics & country songs & then find backgrounds and a cowboy hat or 2 to make photo "cartoons" out of them. 5. Which of your 2018 posts was most popular with your audience? Did you implement a new feature in 2018? One new feature: We gave our blog a new more professional look via Glogirly's talented designer Debbie G. We really love it! Oh! And after years of procrastination, we bought a domain and became a dot.com! 6. As the social media landscape changes, how are you promoting your blog posts and connecting with new readers? 7. Looking forward to 2019, if you accomplish only one thing through your blog, what do you hope it is? What steps are you planning to take to ensure you reach your goal? Our goal: We totally dearly and from the heart want to write 2 or 3 books based on some of our blog posts. We certainly have uber-much material by now! Steps we're taking: Just now beginning research on how to create a book (?!?!) Checking out Kindle Publishing, Lulu, and starting to check various options. Simultaneously working out which themes and selecting/organizing posts to use. Just starting, though! 9. Now it's your turn! How can we help? Is there an area where you could use some advice? Share it here and we'll answer you in comments! Yes, Help please!! 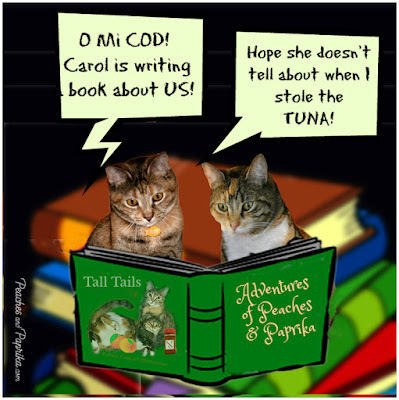 Can you point us in the right direction re how to create a book we can sell as both an e-book & paperback book on Amazon? We've used Blurb for photo books but costs are too high for sales. Right now we have readers (I think!) who would buy it but not sure how long we'll have this pleasant situation! So...options for publishing or self-publishing to start? Or what to read/how to research? Does anyone have any experience with the Amazon Kindle Direct Publishing Option? Also plan to monetize our blog/Facebook page, after the book is done. 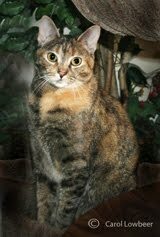 PS: As of today, January 27, w are also adding our link for this post to Cat On My Head's Sunday blog hop. Bravo! I always love how your images illustrate your quirky posts. It's been fun participating in some of the slide shows. BTW, your link on the blog hop is a dead which may lessen your traffic. Thank U!!! What means "dead link" re blog hop? Could be cuz my system is not upgraded yet? Maybe best to write me message on FB! Thanks. 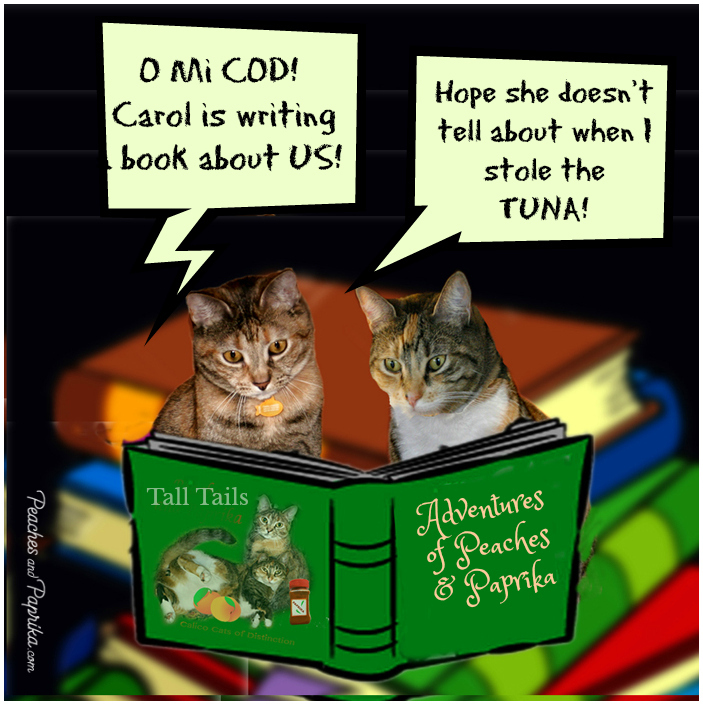 A book would be pawsome! This is a great post!I didn't realise you had been going for 4 years already but always enjoy seeing what the girls are up to. A book would be a great idea and I am sure it would be successful. Those were good, bravo to you for taking on the challenge! What a great post. You not only have some great content, but all the pictures bring it alive. You've had a great blogging experience and I'm guessing it's going to get better and better. Love your writing a book idea. I love your quirky illustrations and cartoons. It's always a fun read. My critters were in the slideshow for the first time this year - you do a great job. I have some ebooks that I sell on my site and it's helped to have an email list to promote those and do a "launch." For designing a hard copy, I don't have experience with that but my mom self published a memoir using amazon's create space and she sells it through Amazon. Many people do seem to prefer an actual book vs. an ebook. If you're not skilled in basic design (like me, I am not), it's probably worth it to outsource the design piece. Amazon will also design the book for you, I believe, for a fee or you can design it yourself like my mom did using their resources. It seemed pretty easy to follow but very, very time consuming. Just depends on how comfortable you are with all that. Nice to cyber meet you. 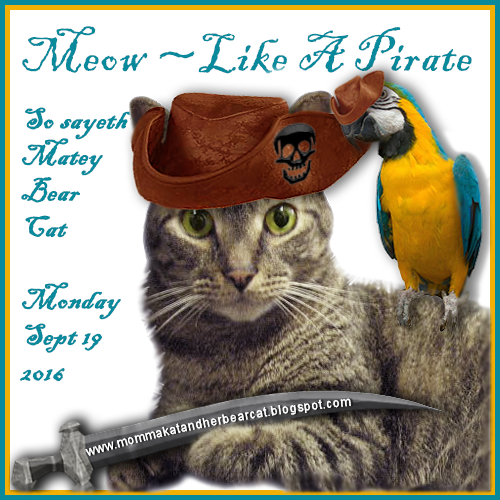 This long time blogger welcomes you aboard. Thanks so much for joining the Challenge! I love the images you're creating with Peaches and Paprika. I self-published a book last year that was heavy on photos and found it quite challenging. If you're going that route, I'd recommend finding a book designer who has experience working with Kindle layouts. He Kindle issue has been such a challenge that my book still isn't available electronically. Good luck! I wish you much success in 2019. Awesome goals! I encourage you to publish, you will be so happy to have accomplished that goal. I used Smashwords for my eBook, I have sold well UNDER a 100 copies, but the sense of accomplishment is still awesome - I can say I am a published author - feels great! Always nice to learn more about you. Thanks for the information, Amy! And the good wishes too and the compliments to images of P and P. I see that Kindle research is going to be a major project! No not yet! 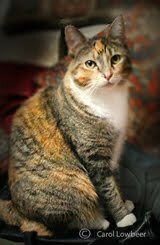 But I have approached one of the members about joining. I was not clear on the membership requirements from reading the rules! Thanks for this comment, Caren! Writing books is a GREAT goal! 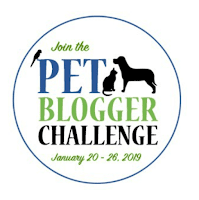 It's a pleasure to get to know your blog through the pet blogger challenge. Here's to a great 2019. O that's good info. Didn't know that! Will check them out. Thank you! Those are great questions, and great answers. We wish you well with the books. Valentine and I are going through this process at the moment and it can be quite lengthy dependant on if you have work done for you, like editing ad artwork, or do DIY. You could also look at a self publishing company called Lightning Source. They are a print on demand and distribution company, like KDP. Peaches & Paprika are just adorable! I published a book through Amazon (eBook and softcover) a few years back and didn't find it to be too big of a challenge, although having a graphic designer for a fiance didn't hurt. I'm not sure I'd be much help now as it was a few years ago now that I first created mine, but I wish you luck! Happy 2019! You might need to post your link in the hop again if it's not working BUT I reached you just fine! I hope you get some information on making a book of your post. I know Amazon does it one way, and other people to it a different way. There is one called Gumtree Road (I think) which is a publisher online. I love your blog and will be sure to visit often. 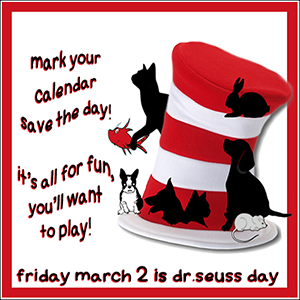 We also enjoy celebrating fun and wacky holidays! Have a great 2019. Your online slideshow sounds as if it were fun and practical. I had never heard of Blog2Print and might have to do that someday. I'm going to be creating Instagram posts this year about therapy cats with the idea of eventually writing a book. I don't know anything about creating e-books, but I wish you the best on the venture! Good luck on publishing your book! It's a wonderful goal and a big adventure. Allison thank you for your comment. Blog2Print is very easy to use, but the options and quality is limited. However we have found it a very easy way of keeping a record of our blog posts. Another way is that they will do a pdf download for you instead of the book. At present that costs only $9.95 and takes minutes to prepare. Thank U so much Sandee for those lovely comments and for visiting our blog throughout the year!! Thank U for much for visiting and for your positive good luck comments! 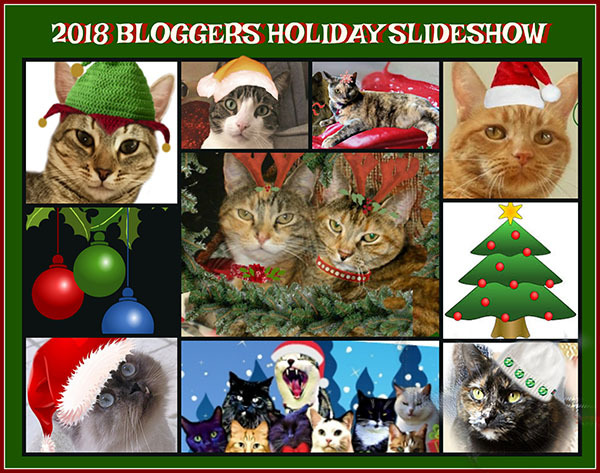 You're one of our favorite blogs to visit and just love your fun graphics and slideshows. Your mom is super talented and we can't wait to see what's in store for you in 2019! I love your posts and captions. They always make me smile and they would make a great book. I think there was a great post about self-publishing in BlogPaws and quite a few people have published stuff. Maybe ask in the FB group as someone recommended a geat printer/distributor to me for my kids' book.